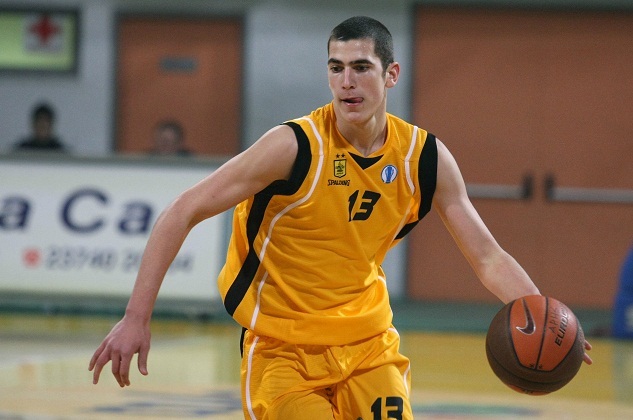 The Hoop: Aris or NCAA for Lefteris Bochoridis? He could be a major contributor next season. Lefteris Bochoridis(1.94-PG/SG) is a lefty combo guard of the class of 94 who has come of age for his first pro contract. He's been playing for Aris BC youth teams since the age of 7 and he is the best talent of his year. The situation as it stands at the moment is that Aris BC have submitted a pro contract on his behalf, as it's allowed by the Greek league's rules but.. this type of contract can be voided very easily as there is a decision but the Greek Supreme High Court that deems these contracts unconstitutional. Hence Aris BC are waiting for Bochoridis to sign his first pro consensual contract so that they can submit that instead and be completely legit. Lefteris saw some playing time this season with a total of 16 games which is not bad for a player under 18. There is only one fly in the ointment at the moment. The player's agent, Nikos Lotsos. Unfortunately for Aris BC Lefteris Bochoridis has the same agent as Nikos Hatzivrettas who is still owed the grand sum of 250,000 euros by Aris BC. As one might understand although Aris BC have a new administration that is trying to clean the mess of the previous one, the deal has not been struck yet and the latest reports from basketball media in Greece say that it's either Aris or the NCAA for Bochoridis. Obviously one might understand that this puts pressure to the administration of Aris so that they decide to agree more favourable terms in paying off the debt. There have been a few deliberations already but no agreement as of yet. Bochoridis could be a major help in next season's team. He's got a good wingspan and good height for both guard positions. He can score, he can create for himself and his teammates and he can run the team. He's bound to have decent playing time next season and the general consensus is that both the player and the team want to continue together.